Discreet and unimposing, recessed lighting is the perfect addition to any room in your home that needs some extra illumination without taking up much space. They instantly inject a modern touch to your home and can create the illusion of extra space and add character to a room with low ceilings. Of course, you need to really consider where you’re going to put these lights because once you’ve made the holes it’s hard to go back on your decision. 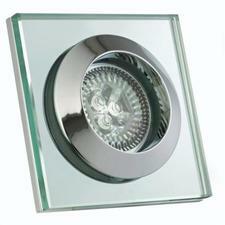 Well-placed lighting can help transform your rooms instantly, and recessed lighting is a big part of that. Good lighting can create atmosphere and intrigue in the room and can also highlight the best and most prominent features in your room too. 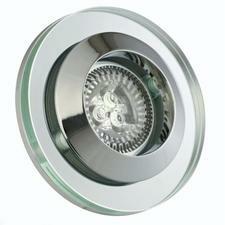 Shop our range of recessed spotlights now and find the fittings that will inject style into your space. Recessed spotlights are also perfect for illuminating tasks that are carried out in the kitchen or bathroom, but these lights do so in a stylish and modern way. There are many things to consider before installation of these fixtures, mainly because it’s so hard to change them once they’ve been fitted. The number of lights you have is down to personal preference, but you need to consider the whole room because too many can overpower the space, and too little you won’t get the right amount of light you need to illuminate the space. Once you’ve picked how many lights you’d like, you have to consider where they’re going to be placed. Once you make the holes, you can’t change your mind. Not only will you have to choose the distance between them, but also how they’re going to be placed, whether you arrange them in straight or diagonal lines. We’d suggest at least 1m between them, but of course, it all comes down to the size of the room. 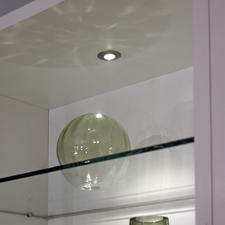 The trim size of recessed lighting is something else to think about too. 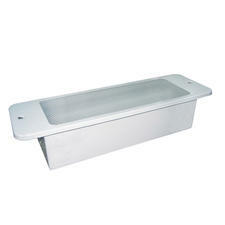 This is the visible part of the light, therefore it should reflect the interior of your space. Trim sizes generally range from 3 inches to 6 inches; the smaller trims are less conspicuous and tend to look more modern, but it all comes down to which look and feel you prefer. When thinking of these things, it’s important to consider the height of the ceiling you’re installing them in. Lower ceilings will result in more focused beams, whilst higher ceilings will disperse light more evenly. You want to ensure that you pick the right recessed downlights for your space, whether they’re there for practical reasons or to create atmosphere in your interior. Here at First Lighting you’ll find recessed lighting solutions that are affordable, modern and stylish, shop the range now.